Heavy duty sanding roll for on site applications, particularly good on wood, metal, fillers, primers and paint. Has a tough E weight backing and high grain retention which enables this product to give a smooth uniform and constant finish. 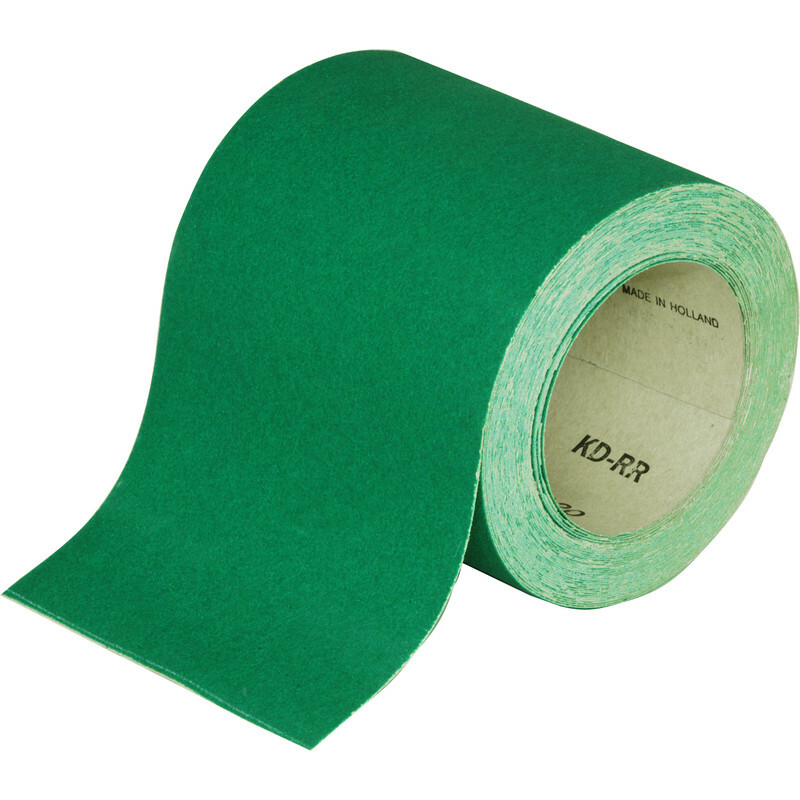 Aluminium Oxide Green Sanding Roll 115mm x 10m 120 Grit is rated 4.8 out of 5 by 20. Rated 5 out of 5 by Martyn123 from It's a roll of sandpaper Hard to get excited about this, but I have bought many of these from Toolstation over the years and will continue to do so. That must say alot. They do exactly what you expect and at a good price. Rated 5 out of 5 by AFSand from Excellent value Used this before in single sheets so bought a roll this time. Good value for money. Last really long time and doesn't easily get clogged. Rated 5 out of 5 by Slackarino from Great quality I bought this a couple of weeks ago. The grit stays on not like the Oakey which looses it's grit. Rated 5 out of 5 by Pasco from Does what it says I have only used it a couple of times but am delighted with the results. Tool Station couldn't have been better and the material arrived when promised. Rated 4 out of 5 by Handy_andy from Sand paper Good paper lasts well only downside in my electric sander it kept ripping the paper where it was clamped in and falling out before the grit had worn off the paper.